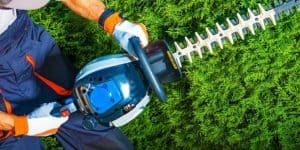 When shopping for a hedge trimmer, it’s important to know who you are buying from. There are a vast multitude of companies providing these kinds of tools, and it’s worthwhile to do your research when choosing a company to make the purchase from. One of the most important aspects is how long a company has been around. Businesses which have been around a long time have gained more experience in developing successful products. That success is what has kept them going for so long and able to build on a solid foundation. 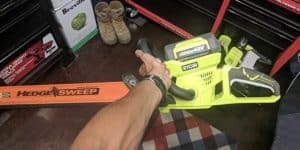 This article is going to assist with answering the many questions you may have about purchasing a Husqvarna hedge trimmer by providing information on one of the oldest outdoor equipment companies, Husqvarna. Husqvarna is a top producer of outdoor power equipment at the global level. Their products are available in more than 100 countries, which allows them to employ around 13,000 people. Having many products in many places allows them to reach out to people all over the world to make sure their needs are met. 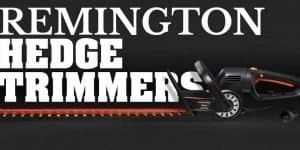 They are known for producing lawn care equipment including a variety of lawn mowers including zero-turn mowers, riding mowers and even robotic lawn mowers. 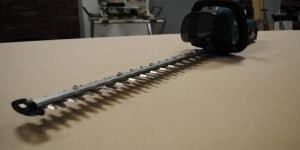 They also have a range of saws such as chainsaws, forestry clearing saws and pole saws. 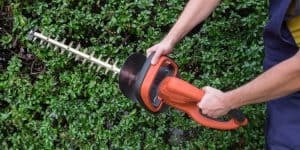 Looking for a new hedge trimmer? We compiled the best ones in our comprehensive buying guide. Get there by following this link. 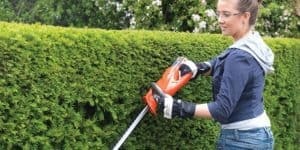 Husqvarna is also known for creating ground-care equipment such as trimmers, leaf blowers and edgers, as well as turf-care products like tillers, aerators, and seeders. With such a multitude of products available, Husqvarna is there to meet all of your outdoor equipment needs. Unlike many other outdoor power equipment brands, this one has taken an added focus on farming equipment which only creates a greater potential for the success for the company. Husqvarna is an incredibly old company, with its first plant having been established as far back as 1689 as a weapons foundry. Since then, the company has gone into the production of a number of different pieces of equipment including sewing machines in 1872, kitchen equipment in 1874, bicycles in 1896, motorcycles in 1903 and then finally moving into lawn mowers and other lawn care products in 1918. Since then, the company has only grown in that industry. By 1995, Husqvarna had released a robotic lawn mower, made to add a whole new level of ease to the care of your lawn. 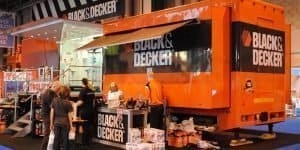 Outdoor power equipment of all kinds is what made this company a success. Through a number of different trials, it managed to find a niche that would allow it to flourish into the business we know today. They wouldn’t have reached that point without a lot of trial and error, allowing them to get a firm grasp on what makes for a high-quality product. Husqvarna has had a lot more time to develop and grow than a lot of other brands on the market today and that clearly shows the company has had some level of success with all the products it has manufactured. If you’re looking for a company that is likely to fully understand what it takes to make great products, Husqvarna is a wonderful option. In current times, one of the most exciting achievements developed by this company is the robotic lawn mower. Demand for fully automated devices like this is growing as people increasingly become busier with their day-to-day lives. The more tools you have that can function of their own accord, the less you have to worry about taking care of the more tedious tasks. Devices like this robotic lawn mower will be able to handle it for you. 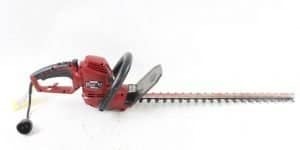 Unlike this device, there isn’t much chance that hedge trimmers are going to be automatic anytime soon, so in the meantime, it’s best to choose the one that will work best for your personal needs. Alongside that effort, Husqvarna also focuses on becoming a more sustainable and environment- friendly company. 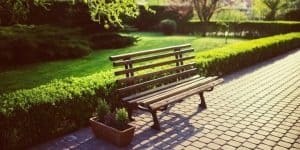 Reducing the effect that their products have on the environment is a huge deal that will allow them to stay on the cutting edge of the market. Creating machines that have a lower or even nonexistent level of emissions will play a big part in keeping the environment healthy and green. This is considered to be one of the most basic of the Husqvarna models available. At 10.36 lbs., it’s lightweight and easy to start. It also comes with a 0.8-HP output motor and 18” blades. This trimmer is simple and to the point, making it perfect for the occasional home use. This model is an example of an environment-friendly trimmer. It’s a battery powered trimmer with a 24” double-sided cutter bar. It weighs about 8.38 lbs., making it incredibly lightweight and easy to carry around. The battery can be charged up to 36 volts. This model has a 26” double-sided cutter bar and a 32” shaft, giving it a great reach for trimming branches that are up high. 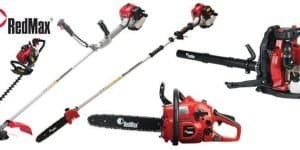 It has a 1.21-HP motor output and weighs about 13.45 lbs., making it the heaviest of the three trimmers listed here, but only within a difference of a couple pounds. This model is particularly lightweight, weighing only about 6.83 lbs. with the battery removed. It is designed to be well balanced and comfortable, providing easy cordless operation through the use of its long-lasting battery. It has a 17.72” blade and a durable aluminum gearbox. This trimmer also has an easy-to-use keypad and quiet operation, allowing you to do your work without a lot of jarring mechanical noise. The battery on this model can be charged up to 36 volts.